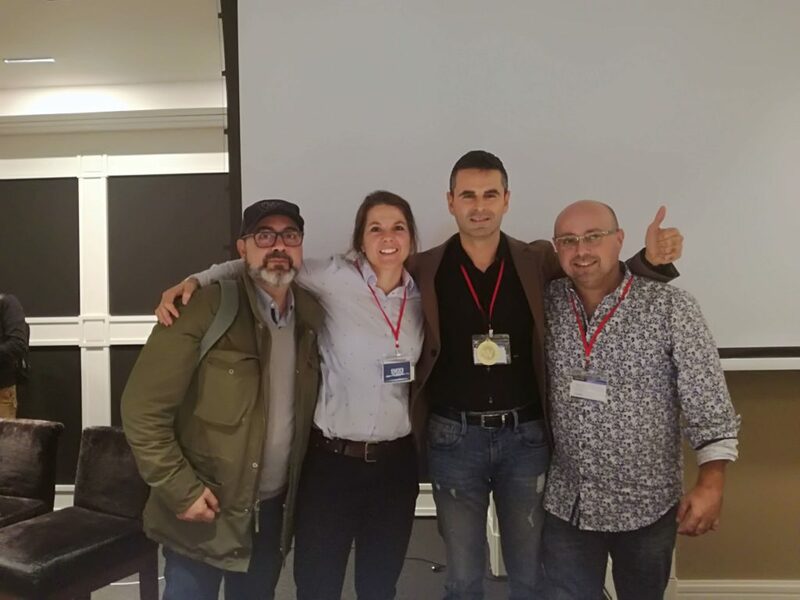 I was fortunate to attend the first two track International Search Summit in Barcelona this November. 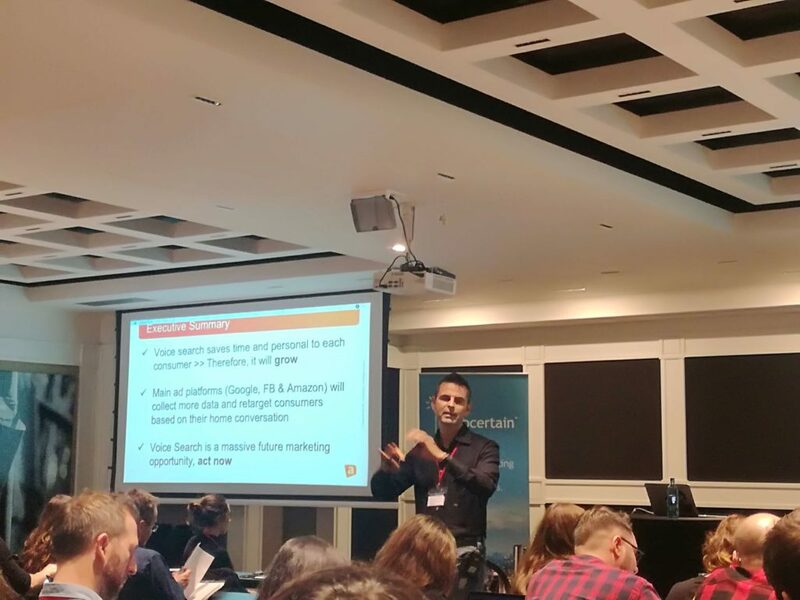 It was a great event as we had not only SEO sessions but PPC ones too. So dual the knowledge learning. What is SEO about today? Jesus said that when he first started work, there were a lot of fluctuations with the site. When come in need to look at the links. This is a quick win. Put all these in an excel and try to have only different domains in this place. Manually link detox with Link Detox. Looked one by one cleaning. By experience, looked at what is good, not good. Analysed 450k backlinks and just 4% of them were good. So put the rest in a disavow file and put in Google Webmaster tools. Removing H1s in the breadcrumbs. used Fandango to help with this. The website is monitored to get alerts when the GoogleBot finds any problems. Then the Mobile Fist Index arrived. Working as a donkey and no results. It was a tough job for Jesus. The vary user agent is hidden in the tag put in the server to identify page that is mobile. The old platform it was not responsive. With the same URL you can have two versions. User-Agent was accidentally deleted on the server’s header a few weeks before. So we were not telling Google what the mobile or desktop version was. Jesus knew it was not good. He did not have much time from Dev team. Worked with the performance on servers so got this improved. There were improvements, but it took time. Do not give up. Navigating the complete world geo-targeting and hreflang. 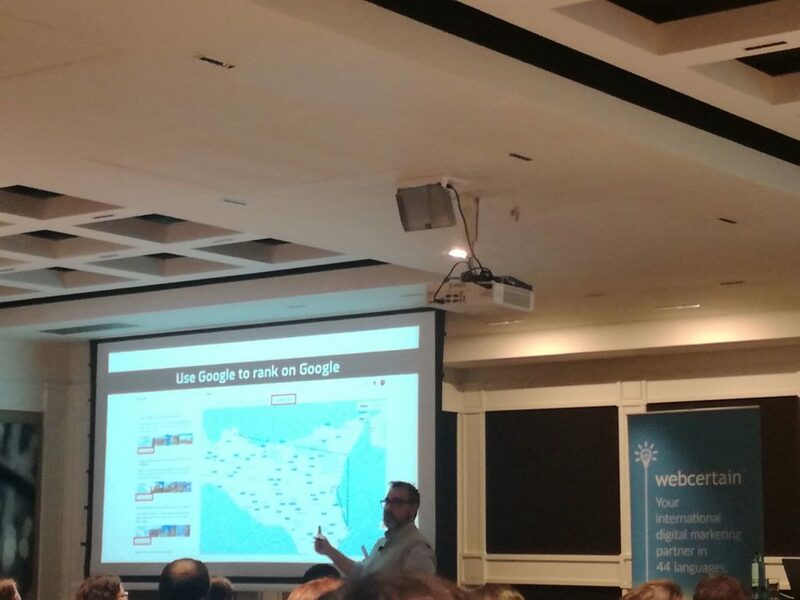 Andy Atkins founder and CEO of WebCertain said that John Mueller confirmed hreflang is most difficult part of SEO. Every international site has geo-targeting issues. Geotargeting, talking about in the wider sense. Eg British airways when checking in. Or Andy logs in to Search Console, it is in Spanish even though he set the language to English. Then Andy went through a “human example”. Luis lives in Portugal for “movels para hotel”. He is using a browser Portuguese and search engine in Google.pt and but he gets Brazil results. Still happens 6 years later. ccTLDs are not expensive, but many people think it is too much work. The recognition and detection of the language has got better over the past few years. Make sure there is content on the page. Regions, state and countries is a different story. Search Console – you can set the target . 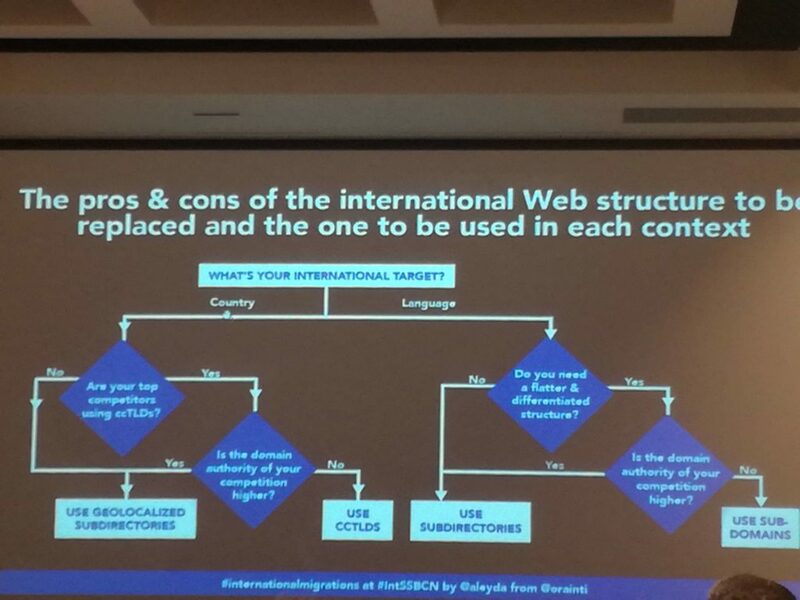 Can I use ccTLDs to target languages? How do I target specific countries? 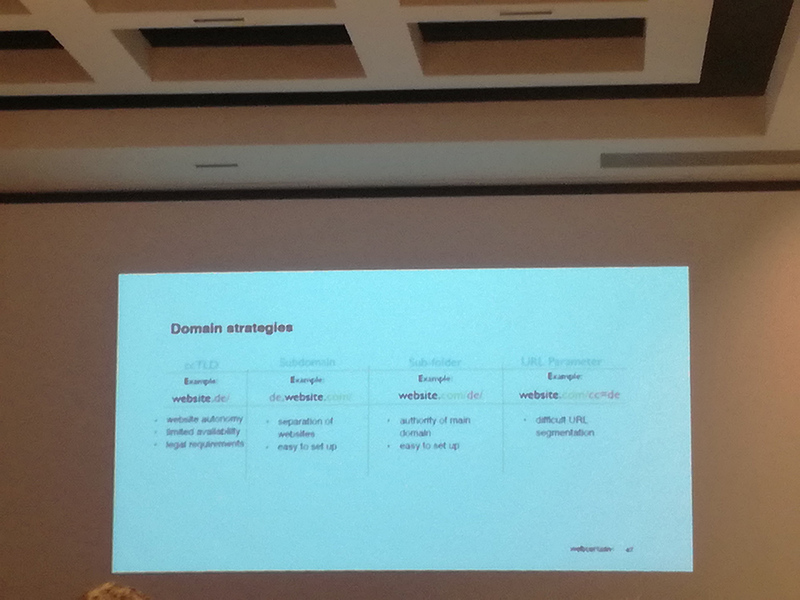 Are we better to use folders, subdomains or ccTLDs? You should ask how we should do our Geo-targetting. Look at your assets you have the best way to do this. Eg targeting Poland, there is just one language. Canada, there is French and English. Need to think about the language. In China need to have the .cn domain in China. You cannot be successful without it. No one uses URL parameters. Language selectors – these are at the top of the page. One of big problems is usability. You try and find a list, eg Germany in a place where the DE would be. This is the tag to include on the page. 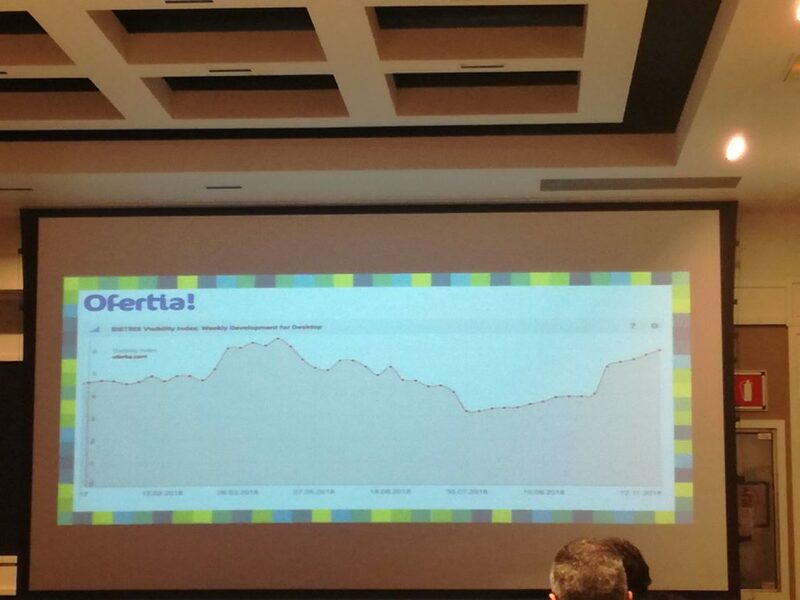 Aleyda Solis, EU Search Personality winner flew in for a few hours and gave a very detailed talk about website migration. She started by saying that web migration can be painful, even when you are doing it right. It can take a while to see the results. 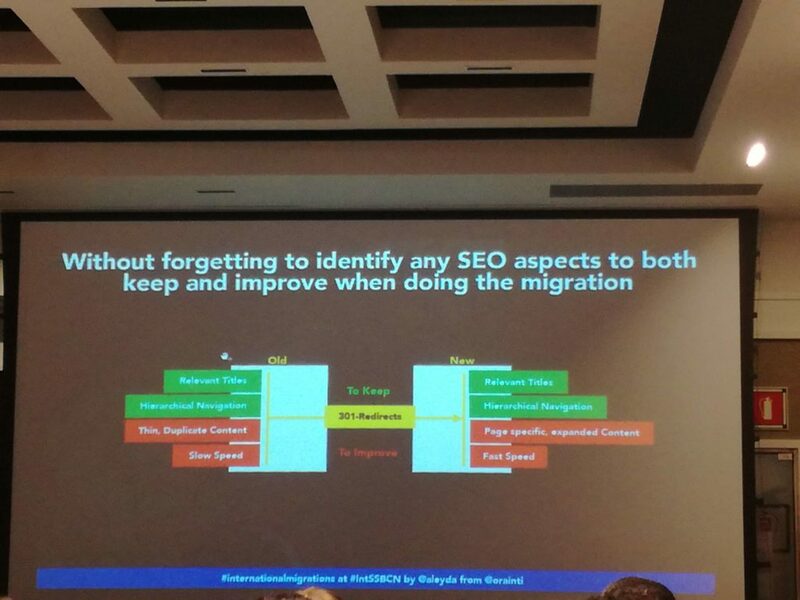 With proper SEO input you have opportunities to migration to improve it. Not all migrations are the same. International Web migrations are those with higher complexity due to more areas and factors to be changed. They can end up with painful traffic consequences if these factors are not taken into consideration. When a FR migrated to a .com domain. It is critical to make sure that you are in a scenario that request an international migration to achieve your goal. Migration will help solve the goal. Everyone needs to know this, they are all on board. Avoiding the migration of the current site while releasing independent domains for each market. Start targeting international audiences. If want competitive results from the start. Avoiding the migration of the current site while enabling a single gTLD with subdirectories. Recommended when starting in more competitive markets where having an establishing link profile will be a higher advantage than using a ccTLD with no links. There is no rule of thumb think what works if your specific case. Ecommerce it makes sense to target countries, eg currency, language, delivery. Verify then first you are in these or similar scenarios that would be benefited by an international migration (photo with yellow numbers). The configurations Google doesn’t officially use and you should also be aware of this. Eg .co people use It is not for Columbia. Google says on their site – How Google crawls local –adaptive pages. All this will drive and prioritize the configuration and validation in the international web migration process. Then include the read and green photo. Do not forget to identify any SEO aspects. How can you do this easily with Tools? Crawl all the affected URLs to gather their SEO metrics to analyse. Identify orphaned pages to avoid missing important URLs you need to migrate. You need to also test. Validate in a test environment. Use the new Search Console “index” to check. Role is to source inbound links for a variety of clients. 2012 when David started it was easy, Time progressed, harder to get links and minimal effect. What to get national links without paying in any market. Can you get a link in a national paper without paying? Links are still one of the off site ranking factors. Links play an important part, but need to careful how you get them. Search engines love them, but bloggers love them more. Links are a necessary evil. How do we build real links on national sites ? 1) Each market is different. So what do people want me to talk about? What do we want to write about? Put in a URL, see what natural back links that article gets. Buzz sumo lets you see the type of content. List features are the ones people want to link to, David says. You can get a media list when launching your campaigns. Just put in your topics. Find out the likes, dislikes of our audience whilst also finding influencers who will help our campaigns. Social listening offers local data which can be outreached to the media. Social mention – put in a topic and it will talk about all articles and tweets talking about. Click into them and see more. Mentionmapp – you can see who you are following and people following you. Good for following journalists. Be aware that social is already impacting your PR. Many journalists, the KPI is traffic to their site. What KPIs are the journalists ? Know this and you can help them achieve the KPIs. Vox.com, half of their traffic comes from Apple news. Aim high – there are many sites you can go after. If you get on a national paper, more people likely to see it and write about it. BUT check every article for links. Make sure the link is going back to your clients’ site. Lets you input all journalists and email them. You can monitor and check information. You can run A/B testing on emails. Build a detailed media lists. Gorkana Group – find the contact details. In terms of outreach, make sure you go with relevant information. Respect their time. Journalists are under increasing pressure. If they do not come back to you, maybe they do not want to know. Do not harass. If you have gone to the media and they ignored you, don’t harass them. Make the journalists look good. If you are giving them a campaign that will drive loads of traffic and engagement, they will love you. Gianluca Fiorelli started his presentation by saying that big companies are thinking of globalization. 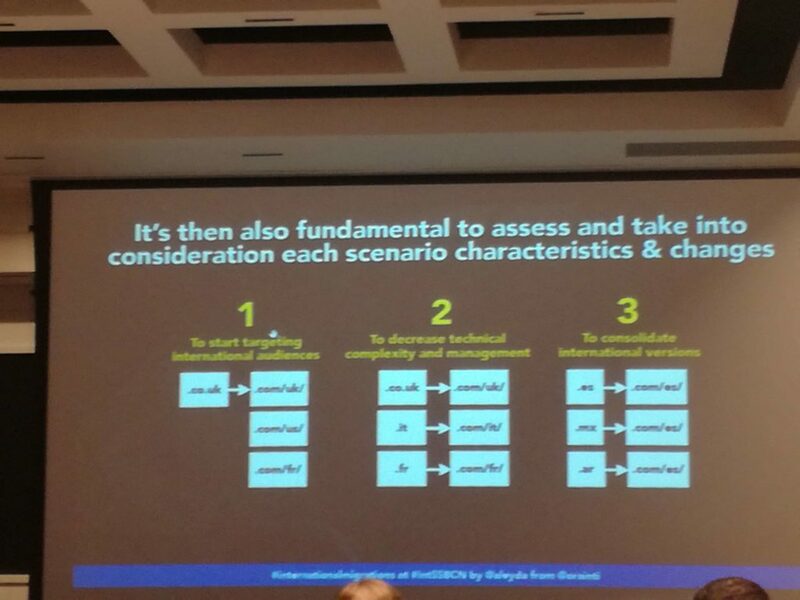 It is not the right way to think about international marketing. Café solo is different to espresso. Global plus Local think about at the same time. It is not new, determined by Roland Rovertson in the 1980s. McDonald’s good example of glocalization. Starbucks is trying to do the same. Products glocalised will be of more interest to the user. The product is needed. What does it mean for on Page? Transcreation is creating localization in creative way. Not just localizing the content. Local search intent related to the product. May a county be considered a product? Will you translate everything for the Italian site? Or do you need to prioritse Chinese as prioritse Chinese market? Look at see what country you are receiving traffic and for how much. How much organic traffic is distributed amongst countries? Sometimes language can be ambiguous. But destination names many timss do not change. The same applies for brand names. Look at the link profile relevant for that country. And what should you write for that country. Use the content that is relevant. 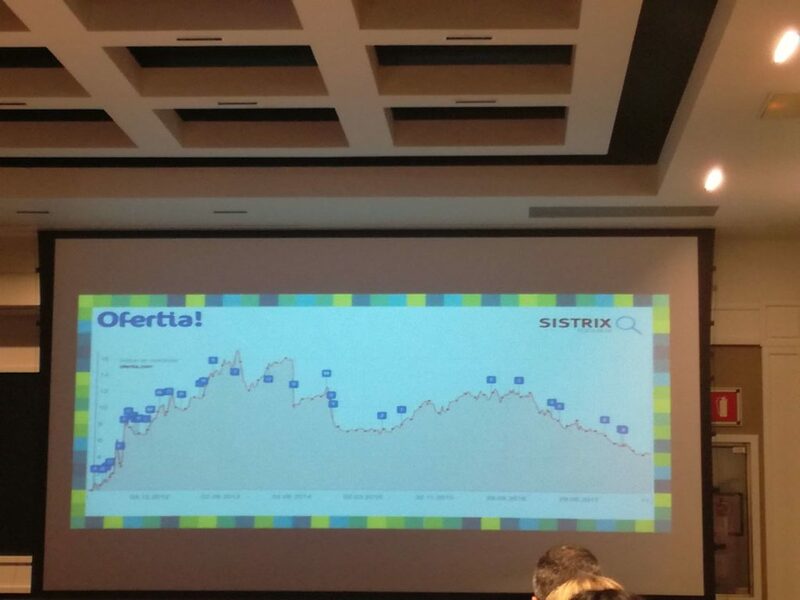 Eg activity destinations in Spain. Insert the photo. Use the comments and FAQs to discover shared pain points of the destination and it’s strengths. Google is tagging these local activities. But don’t watch the trends lines only. Consolidating weak content and rediscovering content. What keywords competitors are strong than us? For the main keywords, better to look in the SERPs. This will help you to see the pain points. You can also use it to help with internal linking. Also you can see the local search intent too. Pass the brief with the Search intent (needed for tone of voices), preferred content forma, primary and secondary keywords. You can create the content that people are searching for. Esther Azcano Valdes is head of SEO at Habitant (was Tribal Worldwide). She gave an interesting presentation on negative online management. She asked “Why do we still focus on traditional online reputation tools that do not measure the impact on the brand?.”EG how bad it is some brand talking badly about you. This is the reason why we need to analyse online reputation from another point of view. What do users find when searching for your brand. Allows us to measure the impact of bad result in Google. What are the URLs that are the most damaging our reputation? What branded keywords are giving bad results. Monitor the reputation on search engines. Used to tracking visibility for the positivity. The weight of a bad result on the SERP. Then Esther talked about a tool they used. ReputationOnSerp, not for sale. Wanted to track negative reputation so could see the improvements when the reputation improved. 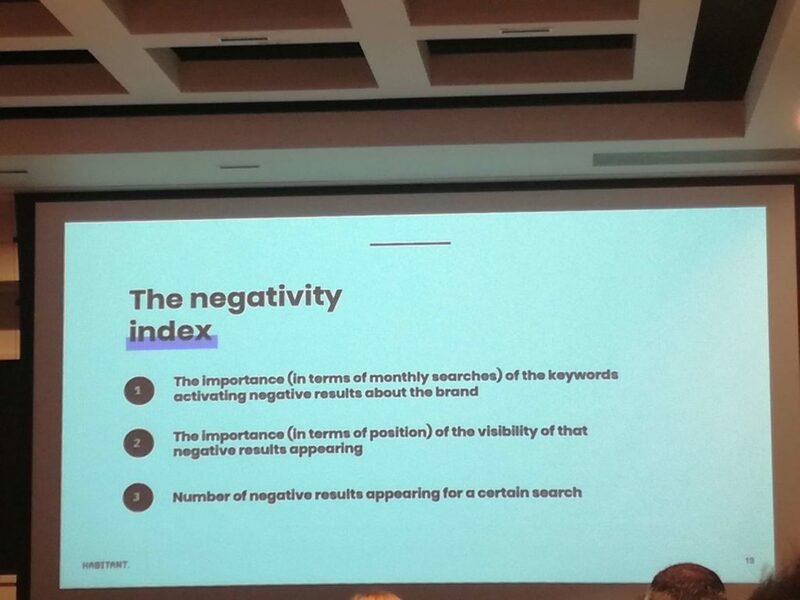 Has negativity per keyword. Negativity per URL. Then Esther talked about a real case. They have a client who is a brand in Spain and Germany.. b2C and work in the health and cosmetics sector. When started with them, found that they have 120% negativity. These bad results on SERPs were appearing for the main branded keywords of the project. This is how they decreased the negativity. It is not possible to delete a result from Google unless there are legal reason to do it. Constantly working on our RoS allows us to anticipate to future bad results. Ale Agostini from AvantGrade won the gold medallion for best presenter for the day. Voice search is a personal story. It is more insightful because it is like natural language. Voice search creates a new paradigm. Why do people use voice? What teens/adult search with Voice, Teens and adults use it differently. What happens when you do a voice search on Google.Everyone knows that FB, Amazon, Google are on recoding mode. Auto speech recognition is very reliable. 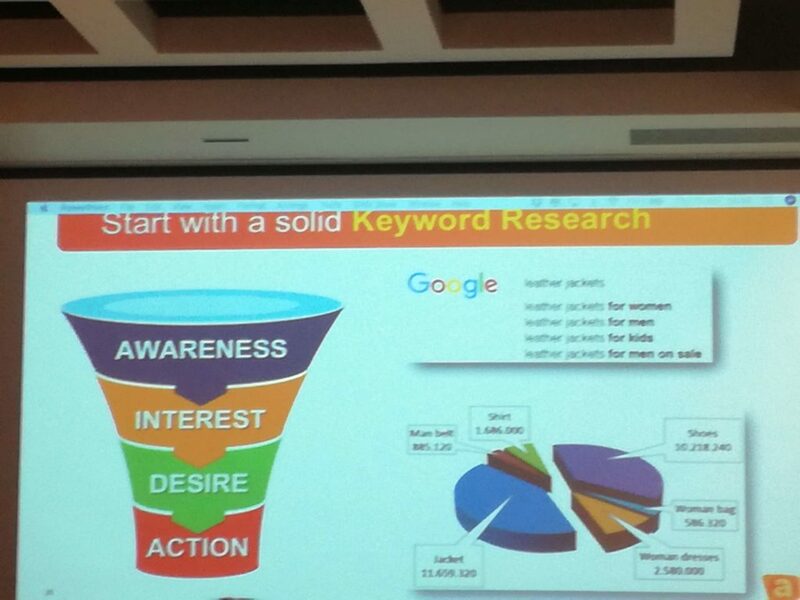 Start with solid keyword research. Understand if the terms are more around awareness, interest or desire or action. Are they typing or saying it. Voice search – focus on long tail. Start the page with the most important straight answers related to the question. Alexa they are putting it in the clocks and microwaves. Alexa to order from Amazon, alexa can tell you if you want to re-order your milk. Voice searches with echo amazon. You can talk and buy something. Main ad platforms (Google, FB and Amazon), will collect more data and retarget consumers based on their home conversation. Voice search is a massive future marketing opp, so act now. 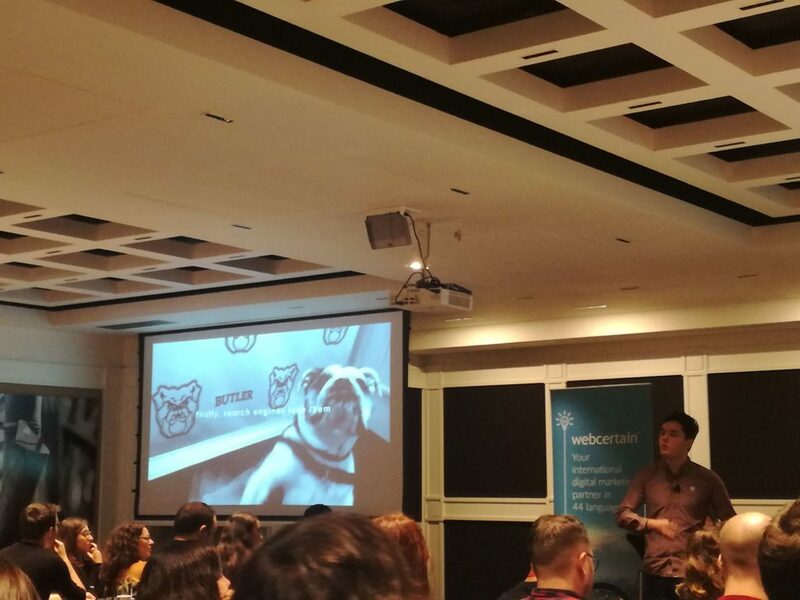 Daiana Damacus from Webcertain asked the audience “What is a social search engine?” Daiana said it was an enhanced version of a search engine that combines traditional algorithm driven technology with user generated content to produce highly diversified results. This was invented and then in the first 5 minutes, marketers turned it into something else. Some say it is search within a social platform. Pinterest calls itself a social search engine. Google is not a social Search engine. Naver – role model of the social search engine. Then Daiana went through how to use each aspect. This is a very good platform to share on other sub platforms. South Koreans love blogging. There is a special department in Minister of Culture for blogging. Companies need to register for the blog. Average post for the blog is once a week. Have a shorter more image focused post too. Your goal is to b in the top 100 in Naver post. The post has a lot of categories and each category has a top 100. Profiles in Naver are more social. The post is not a social media post, it is very text heavy. it is quite scary. There are so many pieces of content here. It can be quite overwhelming. You will gain more ranks, growing from a seed, to a fruit to a tree and forest. Members take pride in getting all these ranks. This takes a long time so if you do not have time, then don’t. KnowledgeIN – it is Q and A. Daiana uses this for market research, what are people thinking. Baidu is China’s largest search engine. It is a social search engine. Encyclopaedia it is Baidu’s Wikipedia. Companies that can offer general knowledge to people. This is general knowledge. It is also links to author’s content. It is a platform for Q and A. They have a new feature called Experience. Peiople put tutorials on how to bake a cake for example. Lesson 1 – Baidu, Naver and Yandex, Content Marketing and Social Media team should be working together. That was a great event as always and record number of attendees. International Search Summit started in London 10 years ago and has grown ever since. Looking forward to the next event.